Are you familiar with poke pictures? 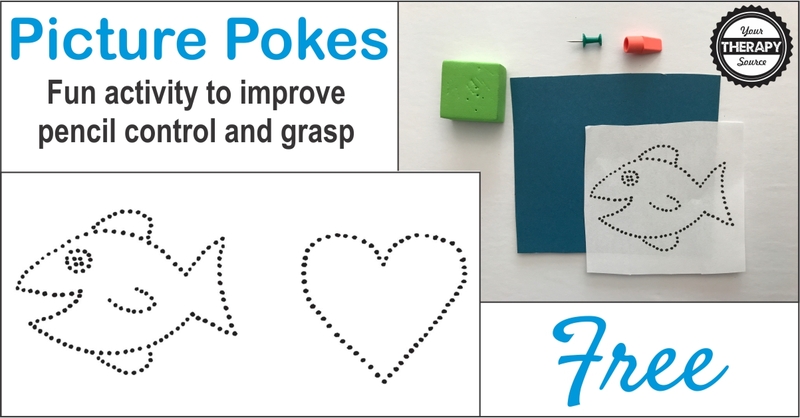 If not, they are pictures comprised of dots for children to poke to strengthen fine motor skills, improve hand mechanics and help with pencil grasp and control when children start writing. 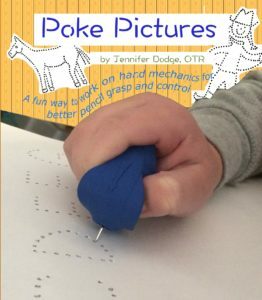 They are perfect for fine motor centers in the classroom (of course supervise closely). Download and print the poke picture freebie. Cut around the fish or the heart. Place it on top of the cardstock paper. Put both of them on top of cardboard or a cutting mat to protect the surface under the cardstock. 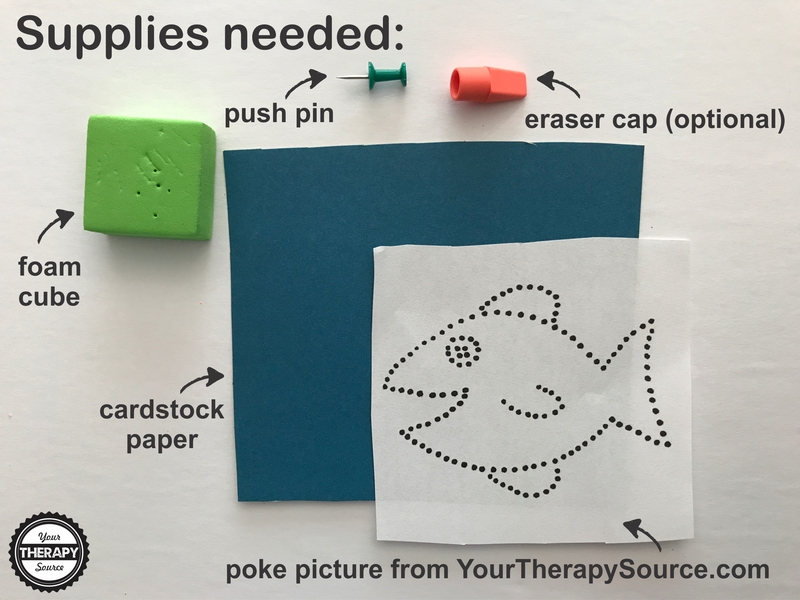 Put the eraser cap on top of the push pin. 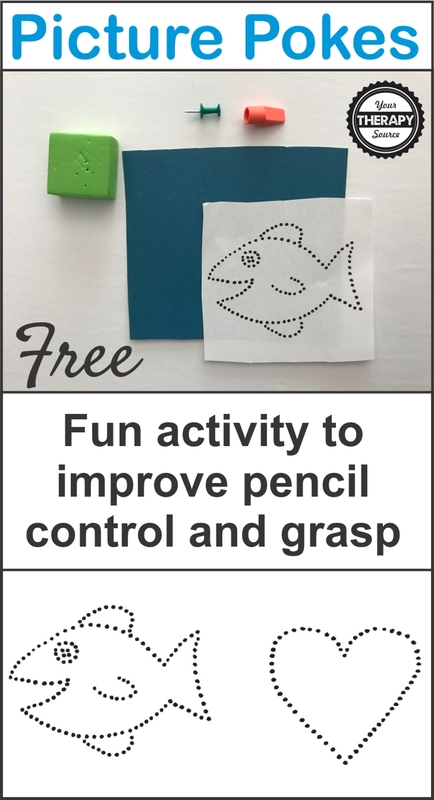 Demonstrate for the children how to layer and use the push pin with the poke picture. Teach the children how to safely use the push pin i.e. don’t poke anyone including yourself, only poke the paper, only poke over the cardboard, etc. Check that the children understand the rules before allowing the children to complete the activity. Provide the children with the push pin and the poke picture. Remind the children not to press too hard. Hang up the pictures when poked in a window to let the light shine through. Watch the video to view it all in action.